CCEI and Idaho: ChildCare Education Institute (CCEI) is an approved training organization with IdahoSTARS. As such, courses offered by CCEI are accepted by the Department of Health and Welfare Bureau of Family and Children Services to meet annual in-service training requirements. 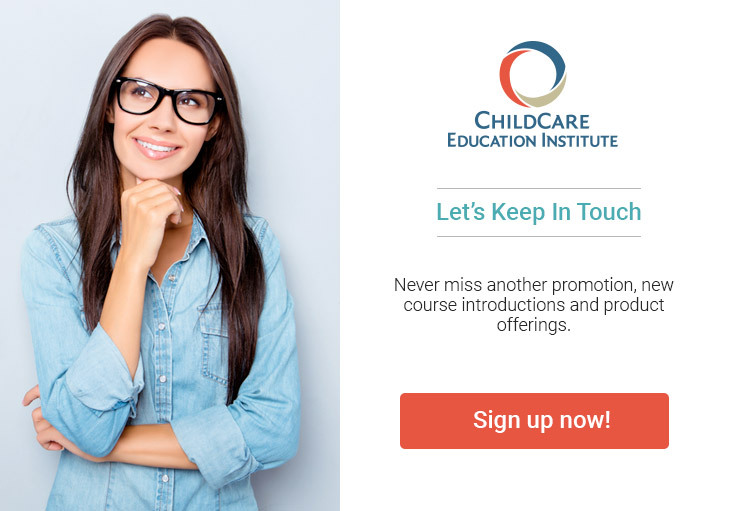 ChildCare Education Institute (CCEI) is an approved training organization with IdahoSTARS. As such, courses offered by CCEI are accepted by the state’s Department of Health and Welfare Bureau of Family and Children Services to meet annual in-service training requirements. To receive IdahoSTARS training credit: Upon completion of CCEI training, please submit a copy of your certificate to, IdahoSTARS Training Office, Center on Disabilities and Human Development, University of Idaho, 1187 Alturas Dr., Moscow, Idaho 83843-8331 or fax to 208.885.6085. For specific instructions click here. For additional information on the approval of CCEI’s coursework in Idaho, contact the IdahoSTARS Training Office at 800.926.2588.